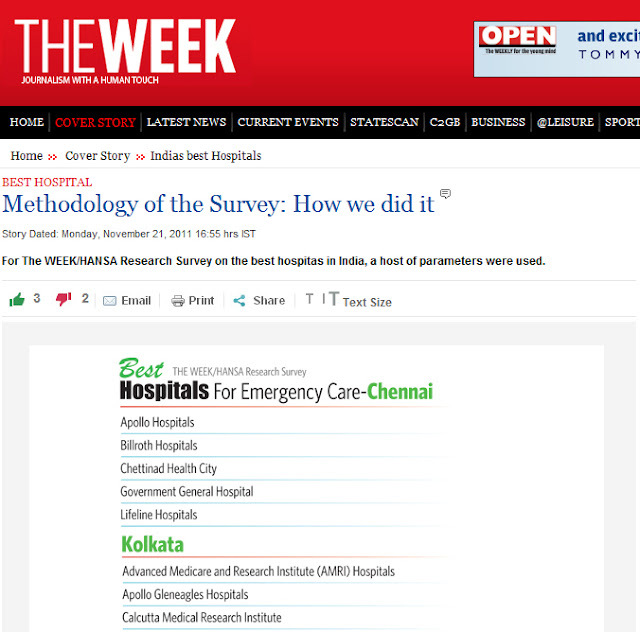 Kindly see Kolkata section of the Survey. Kindly do not refer this list when in Emergency. This is an excellent post. It's having good description regarding this topic on Top Hospitals for Emergency Care. ,brain surgery at best hospitals in India. It was nice to see the best information about the hospitals. This Blog is so informative where we get lots of information on any medical topic. Nice job keep it up!! Rarely this type of blogs are found with a great information. After a long period of time i saw this kind of blog and i would love to suggest people to read your blog and share the information with people they know.